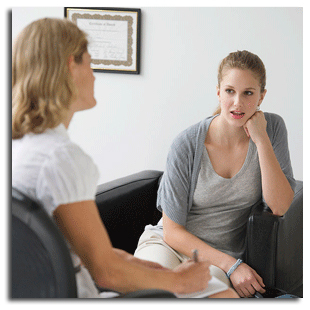 Dr. Bauman is a clinical psychiatrist in private practice in San Luis Obispo, California. She is certified by the American Board of Psychiatry and Neurology in both General Psychiatry and Child Psychiatry. She has extensive training in the diagnosis and treatment of a wide range of psychiatric disorders, including depression, anxiety, bipolar disorder, attention deficit hyperactivity disorder (ADHD), eating disorders, and substance dependency and abuse. She works with children in the autism spectrum and also has considerable experience in dealing with the symptoms of Post-Traumatic Stress Disorder and dissociative disorders. She sees clients of all ages but has been noted to communicate particularly well with teenagers and young adults. 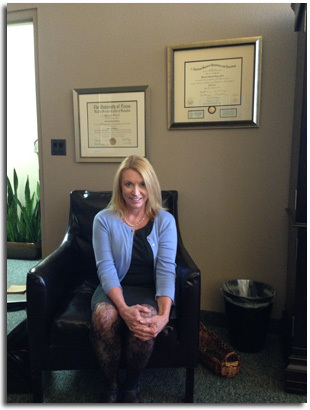 Dr. Bauman is known for her caring, nonjudgmental and warm approach. While well-versed in the medical complexities of psychiatric illness, she presents her treatment approach in a down-to-earth manner. Dr. Bauman addresses each patient as a unique individual, with individual goals, concerns, and beliefs. As such, she works with each patient in a collaborative manner, designing treatment and on-going care with the patient as a partner in setting goals to reach optimal health. Dr. Bauman attended medical school at The University of Texas Health Science Center McGovern Medical School, now the nation’s sixth largest. After graduation, she entered the pediatrics residency at the school and worked with children whose medical issues ranged from infectious diseases to broken bones to severe burns to head injuries. She participated as the sole physician traveling to trauma sites on Hermann Hospital’s visionary Life Flight program and as a senior resident she trained under the world-renowned oncologists at MD Anderson Cancer Center. “I realized that despite the nature of the illness or injury, there was always one common thread to every case: the mental health, the psychological state of a patient in the midst of illness or with a recent trauma. This was of great importance to the physicians working with these children.......how was each patient handling this change in their own health? And how was their family addressing this as well?” This awareness of the importance of mental health and the consequences of ignoring this crucial aspect of everyone’s life led Dr. Bauman from pediatrics in Texas to a psychiatry residency at The University of California in San Diego. Dr. Bauman completed both general and child psychiatry at the University of California at San Diego. She worked for several years in Los Angeles in a group practice there and was named medical director of the Trauma Unit and later the Child Unit at Del Amo Hospital in Torrance, California. She also served as an assistant clinical professor in the Department of Child Psychiatry, UCLA-Harbor during that time. After moving to the Central Coast of California in 1996, Dr. Bauman has worked as a clinical psychiatrist in private practice and in 2009, she opened The Bauman Clinic, AMC. In addition to her busy private practice, she is the medical director for the Cottage Hospital Intensive Outpatient Program (COPE), serving both those with mental illness and those struggling with chemical dependency issues. She also serves as a consulting psychiatrist for partial hospitalization patients at the Central Coast Treatment Center (CCTC), an eating disorders program. Dr. Bauman has been named one of America’s Top Psychiatrists by the Consumers’ Research Council of America. She has won the prestigious Patients’ Choice award from Vitals.com as well as the coveted Compassionate Physician Award. She also appears on the Healthgrades’ Honor Roll as an outstanding physician.